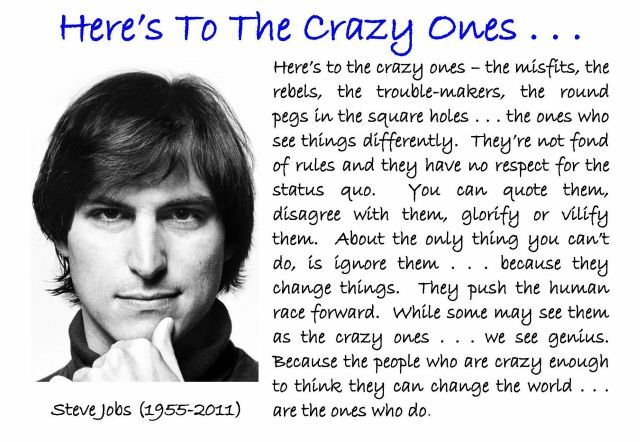 Here’s To The Crazy Ones . . . | What is the Meaning & Purpose of Life? This entry was posted in Believing in Yourself, Never Giving Up, Overcoming Loss, Thinking Positive & BIG, Unconventional Means and tagged Apple, Crazy Ones, Genius, Steve Jobs. Bookmark the permalink.